At the BDAV’s 2018 Annual Dinner, Lindsay Fischer was presented with the Brian Morison Award for Most Promising Student 2018. She is a student from Melbourne Polytechnic and, according to the judging panel, clearly has a solid career ahead of her in the design profession. 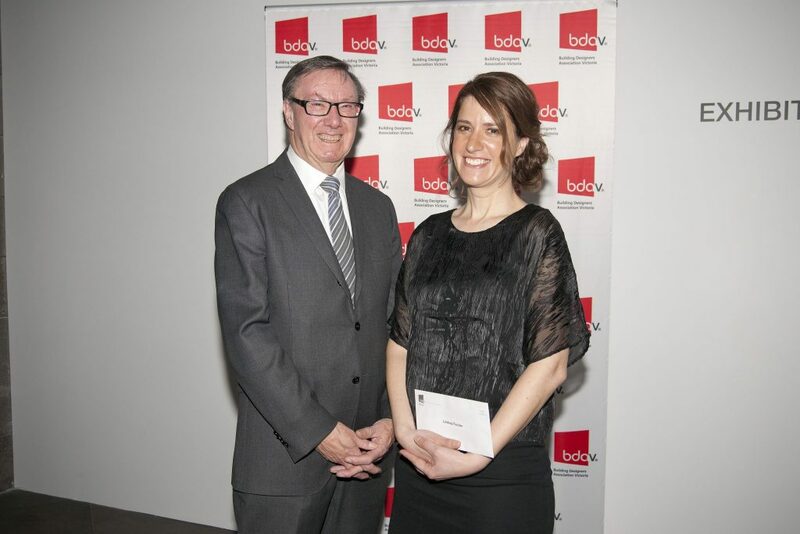 Lindsay received $4,000 from the BDAV to further her career in our profession. This Award recognises the outstanding contribution made by Brian Morison to the BDAV during 18 years of exemplary service as BDAV’s Executive Officer. Brian retired from the workforce at the end of June 2012 and, during that time, was an outstanding ambassador for the Association in all his dealings with the relevant stakeholders with whom the BDAV interacts. Brian has always been passionate about encouraging young people along their chosen career path. Therefore, the BDAV views this Award as due and fitting accolade for his commitment to nurture students to progress their career in building design.